Here is The New York Times. The story begins with the obligatory sob story to soften up the reader. In 2012, Ms. Safieh fled Syria with her four children after their house was bombed. Since then, Ms. Safieh, who had been an elementary schoolteacher in Damascus, had been living with her mother outside of Cairo. The money she’d saved from selling off her jewelry had run out, and she could find only part-time work. Ms. Safieh’s children were unable to attend Egyptian schools because of their immigration status. In December 2016, as the family finally prepared to leave Egypt for the United States, Ms. Safieh signed a promissory note to repay a travel loan, offered by the International Organization for Migration on behalf of the State Department, which would cover their airline tickets. About seven months later, Ms. Safieh started getting notices in the mail about paying back the $5,356 loan. “I almost had a heart attack,” she said. For decades, the State Department has funded interest-free travel loans to refugees who, like Ms. Safieh, cannot afford the cost of relocating here. Six months after their arrival, borrowers are expected to start repaying the loans to one of nine private nonprofits, known as resettlement agencies, which are involved in helping refugees start their new lives here. When refugees make their travel plans, they are assigned one of these resettlement agencies through the International Organization for Migration, which administers the travel loans. I want you to open the link above for the nine private nonprofits and see that The New York Times actually uses information from the Center for Immigration Studies —will wonders never cease! The average loan per person is $1,100, and that amount can quickly increase when considering a full family. Meanwhile the resettlement agencies, including World Relief, the United States Conference of Catholic Bishops and the International Rescue Committee, all of which collect the travel loan payments but have nothing to do with granting them to begin with, retain up to 25 percent of the total payments. Eskinder Negash, the president and chief executive of the United States Committee for Refugees and Immigrants, the agency assigned to collect payments from both Ms. Safieh and the Majeeds, argues that the fee is fair; if the State Department requires refugees to pay back their loans, his nonprofit should be allowed to recoup its costs, which include paying three full-time employees who coordinate the repayments. “The question is whether we should charge refugees for their transportation to begin with,” Mr. Negash said. According to a spokeswoman for the State Department, which, it must be said, takes a loss in the travel loan transactions, having refugees pay for their travel expenses helps defray resettlement costs and can strengthen the newcomers’ resolve for a successful migration. To date, slightly over 18 percent of all the loans issued to refugees in 2016 did not receive a single payment, according to data from the State Department. These missed payments were reported to credit agencies. The (bogus) argument by both the State Department and the contractors is that it teaches refugees how the American credit system works and that they must have good credit to survive. The flip side of course is that when they don’t pay, as so many can’t pay (because we have imported very poor people), it means they develop a terrible credit score! But, that still doesn’t answer the question about why the collection agency must be the contractors who then get to pocket millions of YOUR tax dollars! To learn more about Eskinder Negash, visit RRW HERE. By the way, Judicial Watch attempted to get travel loan information out of the US State Department here. What do you do? This is one more issue you should let the President know about. The Administration could reform this portion of the US Refugee Admissions Program if they wanted to without Congress. In this regard, proper due diligence requires evidentiary trails from as many patriotic megaphones as possible. Most especially, those whose expertise lies within Islamic Jihad must lead the way. Thus, let the following exhibits set the stage and underline the overarching charge-sheet(s). Indictment(s). As laid out (at the onset of this site) in “Barack Hussein Obama Set To Formally Embrace Morsi, Egypt’s Brotherhood Pick: How Did This Happen?”, his footprints shed light on the whys and wherefores to President Mubarak’s toppling – with the full-on assistance of a compliant U.S. administration. HINT: Mubarak refused to play ball with the Brotherhood. Even more so, in his first official trip to Cairo, June 4, 2009, former President Obama signaled to the Islamic world/the ummah the administration’s strategic plans for re-shaping the Middle East – with absolute recognition of the knock-on effects on the U.S. ala the empowerment of the Brotherhood within the highest echelons. For further edification, the video linked below is more than instructive. However, it does require one’s “listening ears” to be finely attuned to his jive-talk which is honed for western consumption, as opposed to the winks and nods meant for Muslim audiences. Added indictments can be found here, here, here, and among a long laundry list of others. In tandem, two global interviews – one of which was a tag-team approach between these authors – are duly supportive. They can be accessed here and here. Clear as a bell. Again, straight out of the horse’s mouth. As promised in the opening paragraph – now that the (provable) groundwork has been paved – it is time to link and hook into what is going down in Congress, that is, vis-à-vis the unprecedented infiltration and penetration of the Brotherhood Mafia into its recesses! Incontestably, it is an urgent imperative. Beyond. To be sure, over the years and creep-by-creep, the Brotherhood has been boring into Congress under the terror wings of CAIR; its N. American propaganda arm. Resultant, the reporting within has reflected the same. Consider the following bullet points as highlighted “open sesames” re the Brotherhood’s initial boring into Congress. They are shored up here, here, here, and here – courtesy of access given by the Obama administration in particular and CAIR in specific. Without further ado, enter…. 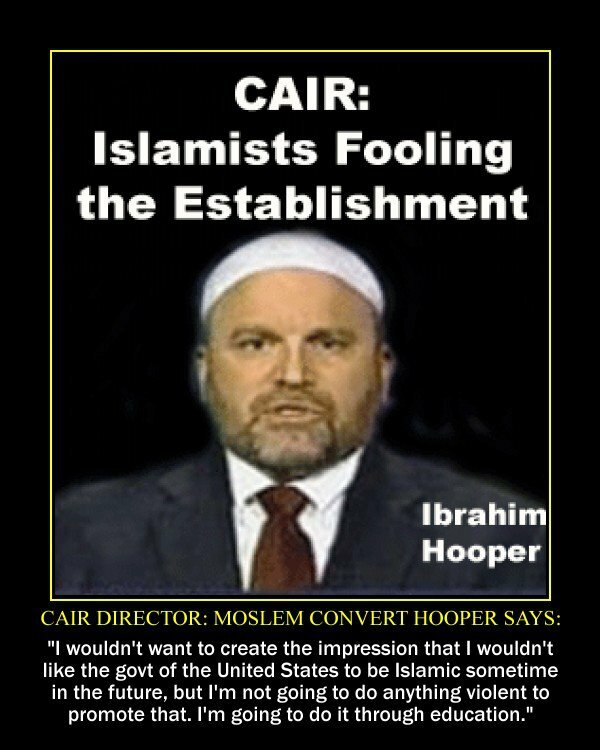 (Islamist) Reps Ilan Omar and Rashida Tlaib and their tie-ins to CAIR and related Brotherhood Mafia front groups! To said end, the morning of January 10, 2019, I presented an updated Intel policy paper at the very same secured facility in Tel Aviv which housed last year’s conference. Among several areas of high concern, a segment of the presentation zeroed in on what is really……going down in “The Triangle“; AKA the Wadi Ara, AKA the Nahal Iron. An overview is below, including the nexus to US Congresswoman Rashida Tlaib! …..
Of course, this is not the forum to get into specific details and associated plots. Rather, it is the place to enlighten the public as to what is at stake, sans all the Allah-wash from western leaders, including Israel’s. With this in mind, it is imperative to reveal a highlighted security concern from the conference. Incontestably, it links up the inextricable terror nexus between Israel and the US – vice versa. In brief, many Americans have expressed concern about the newly elected Rashida Tlaib, an ethnic “Palestinian”, who represents Michigan in Congress. Well, they don’t know the half of it. Effectively, I have been given permission to reveal this tidbit: when two of the assets associated with the conference (counter-terrorism and counter-Intel freelancers) were in Michigan (AKA Michiganstan) on another assignment, by accident, they “stumbled” upon a bombshell. It revolves around a clear connection between particular “Palestinian-Americans” (Jihadis-In-Suits) from clans in East Jerusalem, who happen to collaborate with clans in the Wadi Ara, who just happen to have access to Rashida Tlaib and her associates! This linkage is via what they termed the “Ramallah Connection” ala the AFRP, The American Federation of Ramallah, Palestine. Oh, what a tangled web of terror. Btw, her parental and close extended family live in a small, but highly active, Islamic-laced village, Beit Ur al-Foqa. It lies smack in Israel’s Judean hills…. As sister Islamists, both are totally hooked into CAIR/Hamas – to reiterate, the Brotherhood Mafia’s propaganda arm in N. America. Oh, and pay special heed to the 5:02 mark at “Here Comes the (Jihadi) Bride: Access Denied!”, in so far that it is another nail in the coffin of CAIR and their inextricable link with the two Muslimas in Congress. And more of the same…..
More specifically, several non-captured media sites are raising the highest decibel alarms, as to the incalculable threat, that is, if they (alongside their socialist sister, AKA “AOC”, a main glue who holds their red-green alliancetogether) are not removed from office, let alone taken off key committees! Aside from the “take-no-prisoners” Breitbart News (once again, laying out what’s what, relative to the dangers at bay), along comes the Jerusalem Post, and they too are sounding a high-pitched alarm. It is not for nothing. Still yet, it is via the blessed work of Laurie Cardoza-Moore, under the wings of PROCLAIMING JUSTICE TO THE NATIONS (PJTN.org), that millions of patriots (be they Christians, Jews, or others) are hearing the clarion call. Omar recently spoke at a benefit dinner for Islamic Relief USA (IRUSA) in Tampa, a local chapter of Islamic Relief Worldwide (IRW). 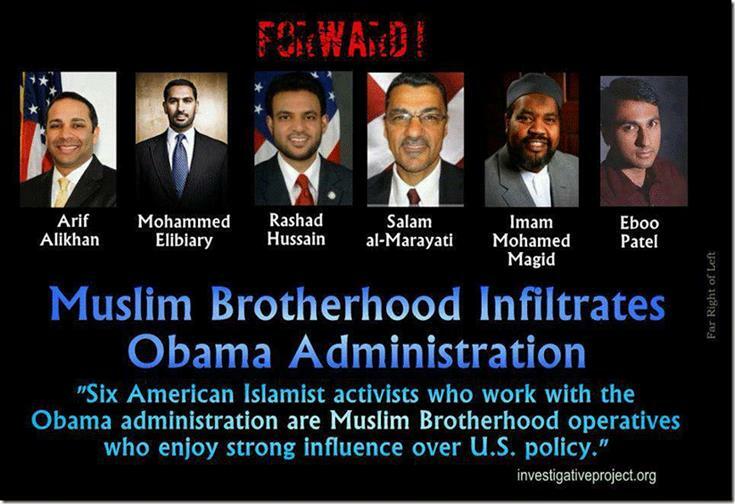 IRW has a history of funding terror organizations such as the Muslim Brotherhood and Hamas. IRUSA is today the largest Islamic charity in the West, with branches in more than 20 countries. It has received at least $80 million of funding from Western governments and international bodies, including the United Nations and the European Union. In 2014, the United Arab Emirates designated IRW as a terrorist organization because of its links to the Muslim Brotherhood. NEXT – On March 23, Omar will be a guest speaker at a Council on American-Islamic Relations (CAIR) fundraising event in Los Angeles. Since 2013, PJTN has been involved in exposing CAIR’s instructional materialsbeing used to indoctrinate our children with propaganda in U.S. schools. PJTN stands committed to fight the vile effects of anti-Semitism wherever they are found and that is why we are demanding Omar’s resignation – effective immediately! Not only does she pose a threat to our Jewish and Christian Zionist communities, she is equally a threat to the national security of the U.S. and our trusted ally, Israel….continue here…..
Of course, everything which is charged against Omar is a mirror image towards Tlaib. Most significantly, it is no wonder that those of us who understand what’s what and what’s at stake also pay heed to the Islamists within who spill the beans – even as their co-religionists hide within the underbelly of stealth jihad, thus, adhering to Islamic-sanctioned deceit ala taqiyya, kitman, tawriya, and muruna. Trenchantly, Chicago’s “native son”, the highly educated Sheikh Omar Baloch, attests to what the end game is for Mohammedans – be they inside America, the west in toto, or within Islamic-ruled lands, respectively, Dar al-Harb or Dar al-Islam. While Muslim clerics in the United States typically insist they submit to the U.S. Constitution, an Illinois cleric chastised Islamic relief organizations for not stating that an Islamic caliphate is the ultimate objective for Muslims. Omar Baloch said many Islamic organizations are afraid of losing funding if they are too vocal about the establishment of a caliphate. 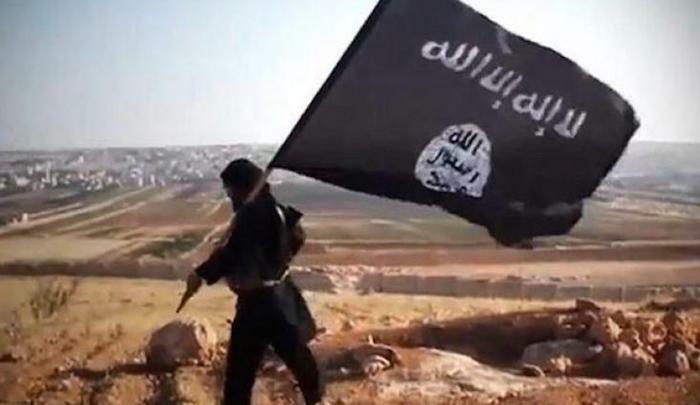 “We all have a higher goal … that is bigger than us, and that is the establishment of the caliphate,” he said in a video uploaded to his YouTube channel Jan. 29 titled “Constructive Criticism of Islamic Relief Organizations,” according to the Middle East Media Research Institute. “It is ruled by a caliph, the military, political, and spiritual successor of Muhammad, and implements Islamic law, which is considered the non-negotiable law of Allah,” he wrote. Baloch said Islamic relief organizations do not place enough emphasis on the establishment of an Islamic caliphate as the long-term solution to humanitarian problems. “If you’re not calling out the forces of injustice and you’re not telling Muslims the long-term solution, the common dream of the Muslims, the common legacy of the Muslims, of uniting the Muslims, in using the relief organization fund platforms to do that, [you’re deficient],” he said. He was born in Chicago and is the scholar in residence at the Al-Furqaan Foundation in the Chicago suburb of Bolingbrook, Illinois, according to a Facebook page. He studied at Georgetown University, at Al-Azhar University in Egypt and at Jamia Thul Ahlul Hadith in Pakistan. “I really wish that my brothers and sisters that work in relief organizations would take this task seriously,” he said. Questions, anyone? To be continued…..
UPDATE: After posting time, the following transpired: (Islamist) Rep Ilhan Omar Got Booted From House Foreign Affairs Committee! https://fitnaphobia.com/wp-content/uploads/muslim-brotherhood-in-america.jpg 360 640 Dave Gaubatz https://fitnaphobia.com/wp-content/uploads/logotext_white_312x71.png Dave Gaubatz2019-03-04 16:07:522019-03-04 16:13:55The Brotherhood’s FULL-ON Infiltration & Penetration Into Congress Via Reps Ilhan Omar & Rashida Tlaib: What’s To Be Done? EDITORS NOTE: This Frauds, Crooks and Criminals column with images is republished with permission. The featured image is from Robert Mueller’s Facebook page. 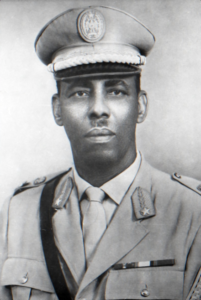 Somalian dictator Mohammed Siad Barre, whom the Omar family served. Congressman Omar’s father was a professional propagandist for the Communist-Islamist dictatorship. Of course, the sins of the father cannot be attributed to the child – unless the child carries on the father’s legacy. This is why it’s so important to look at Ilhan Omar’s formative years. The job of the teacher trainers was to indoctrinate teachers in the government-run school systems to impose that Qur’anic-Marxist-Leninist-Maoist-Mussolini hybrid. Nur Omar Mohamed, father of Ilhan Omar, was one of those indoctrinators. Nur Omar Mohamed was loyal enough to save his job. The regime set out to break apart traditional societal structures and atomize them into powerlessness, while it imposed its own central controls. For this, the teacher trainers were vital. “Local councils, composed of military administrators and representatives appointed by the SRC [Supreme Revolutionary Council], were established under the Ministry of Interior at the regional, district, and village levels to advise the government on local conditions and to expedite its directives,” the UN country profile says. Was Ilhan Omar’s father a part of the “local political education bureaus”? We don’t yet know. But those bureaus would have required teacher trainers in order to train the existing teachers about what to teach Somalian children. Siad Barre was building what is now called a Red-Green Axis. That is the combination of the red of Communism with the green of Islam. “Somalia’s adherence to socialism became official on the first anniversary of the military coup when Siad Barre proclaimed that Somalia was a socialist state, despite the fact that the country had no history of class conflict in the Marxist sense. For purposes of Marxist analysis, therefore, tribalism was equated with class in a society struggling to liberate itself from distinctions imposed by lineage group affiliation. At the time, Siad Barre explained that the official ideology consisted of three elements: his own conception of community development based on the principle of self-reliance, a form of socialism based on Marxist principles, and Islam. These were subsumed under ‘scientific socialism,’ although such a definition was at variance with the Soviet and Chinese models to which reference was frequently made. “One of the SRC’s first acts was to prohibit the existence of any political association. Under Soviet pressure to create a communist party structure to replace Somalia’s military regime, Siad Barre had announced as early as 1971 the SRC’s intention to establish a one-party state. The SRC already had begun organizing what was described as a “vanguard of the revolution” composed of members of a socialist elite drawn from the military and the civilian sectors. The National Public Relations Office (retitled the National Political Office in 1973) was formed to propagate scientific socialism with the support of the Ministry of Information and National Guidance through orientation centers that had been built around the country, generally as local selfhelp projects. “The SRC convened a congress of the Somali Revolutionary Socialist Party (SRSP) in June 1976 and voted to establish the Supreme Council as the new party’s central committee. The council included the nineteen officers who composed the SRC, in addition to civilian advisers, heads of ministries, and other public figures. Civilians accounted for a majority of the Supreme Council’s seventy-three members. On July 1, 1976, the SRC dissolved itself, formally vesting power over the government in the SRSP under the direction of the Supreme Council. Siad Barre struggled to stay in power, shifting loyalties from the USSR to the United States by virtue of a strategic naval port, waging the Ogaden war against Soviet ally Ethiopia, and relying purely on foreign handouts to keep the economy moving. Before long, he ratcheted up political repression, arresting prominent figures and even former allies, and setting Red Beret goon squads into the streets. “On the heels of the bishop’s murder came the July 14 massacre, when the Red Berets slaughtered 450 Muslims demonstrating against the arrest of their spiritual leaders. More than 2,000 were seriously injured. The next day, forty-seven people, mainly from the Isaaq clan, were taken to Jasiira Beach west of the city and summarily executed,” according to the UN report. 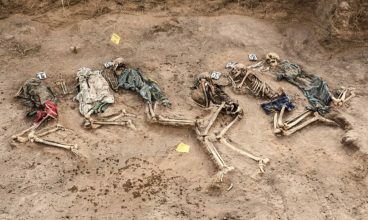 The Isaaq genocide of 1988-89 exterminated between 60,000 and 100,000 Somalis. By 1991, the Siad Barre regime collapsed as the country tore itself apart in civil war. Regime loyalists – families like Ilhan Omar’s – could find no safety any more in Somalia. They fled to Kenya, and ultimately made it to the United States. When they moved to the United States in 1995, they brought their Red-Green ideological baggage with them. Two years before, Congress, at the urging of the Clinton administration, abolished the law requiring that would-be immigrants declare whether they had belonged to a foreign Communist party. The Omar family was able to move to America without that important element of screening. No sooner did the family settle in Minneapolis when Ilhan Omar, at age 14, began to get involved in politics. She interpreted for her grandfather, a Siad Barre servant, at political meetings. In high school, she became active in student politics. From there, the Red-Green Axis import from Somalia, put down her own political roots, became a community organizer, and laid her path to the United States Congress. Omar is not known to have been critical of the Siad Barre regime or the horrors it inflicted during her childhood in Somalia. J. Michael Waller is the Center for Security Policy’s Vice President of Government Relations. EDITORS NOTE: This CFSP column with images is republished with permission.